A blockchain is an online database that stores information across a network of personal computers, making it not just decentralized but distributed. This means no central company or person owns the database, yet everyone in the network can use and help run it, but not tamper with it. The most popular use of blockchain technology today is bitcoin. The bitcoin blockchain manages around 200,000 bitcoin transactions a day, moving the equivalent of US$(removed) million around the world without the need of banks or other financial intermediaries. Bitcoin is just the beginning for blockchains. In the future, blockchains that manage and verify online data will launch companies entirely run by algorithms, make self-driving cars safer, help us protect our online identities, and track the billions of devices on the Internet of Things. The Blockchain Futures Lab at Institute for the Future has an excerpt from Bitcoin for the Befuddled, (2014, No Starch Press), in which authors Conrad Barski and Chris Wilmer imagine a whimsical but entirely possible snapshot of a chock-a-blockchain world 15 years in the future. 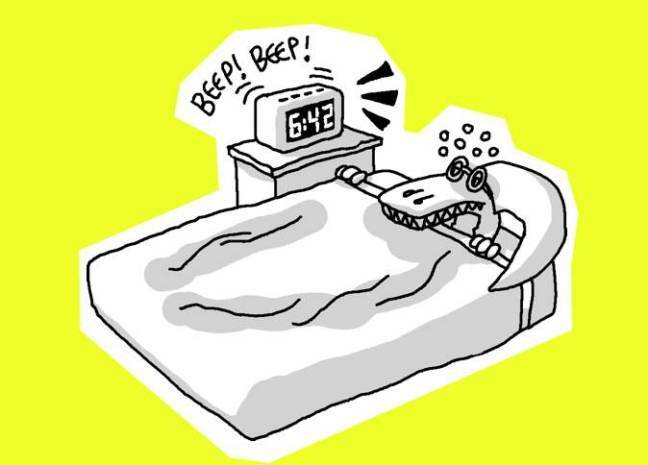 Let’s follow Crowley the Crocodile as he goes about his day in the year 2030, from the moment his bitcoin-powered bioalarm clock wakes him, until he eats his late night pizza ordered using a rating service that runs without human owners.